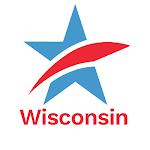 The road to appointing instead of electing judges and justices in Wisconsin is long, twisting, and full of potholes large enough to swallow a truck. The constitutional barrier is high and prolonged. The cultural barrier dwarfs the constitutional barrier. We elect coroners, city clerks, registers of deeds. We elect constitutional officers to jobs that no longer exist. We thwart attempts to make education a cabinet office because we prefer to elect a superintendent of public instruction who mainly supervises a money-shuffling bureaucracy. The chances of giving up the right to elect judges and justices are somewhere between zero and none. The argument that well over half of the people on benches in Wisconsin got there by appointment not election is beyond unpersuasive. It’s unheard. But it does suggest an opportunity to get much of what the advocates of an appointment process promise without banging their heads against a double brick wall. Every appointment system starts with some sort of selection process which is designed to put the smartest, fairest, most qualified prospects into a pool from which the governor must pick an appointee. The Legislature could enact such a process statutorily. No constitutional amendment required. This kind of pre-selection gets the search off the governor’s desk, gives the Legislature and the people and the advocates of appointment over election assurance that the ultimate appointees will be qualified for these important jobs and will not be partisan cronies or worse. The majority of the first time occupants of judicial posts will come out of these pools instead of a ballot box. Not quite. One pothole remains: Who will be on the panel that selects the pool of candidates for the governor to appoint from and the state Senate to confirm?